Explanation: The total solar eclipse of March 8/9 will be the only total eclipse in 2016. Crossing the international date line, the New Moon's dark shadow traces a limited, narrow path for viewing the total phase, making landfall in Indonesia and mostly tracking across the Pacific Ocean. A much larger region will be witness to a partially eclipsed Sun though, during morning hours on March 9 for southeast Asia and northeast Australia, and before sunset March 8 for Hawaii and Alaska. Safely viewing the eclipse can actually be very easy. 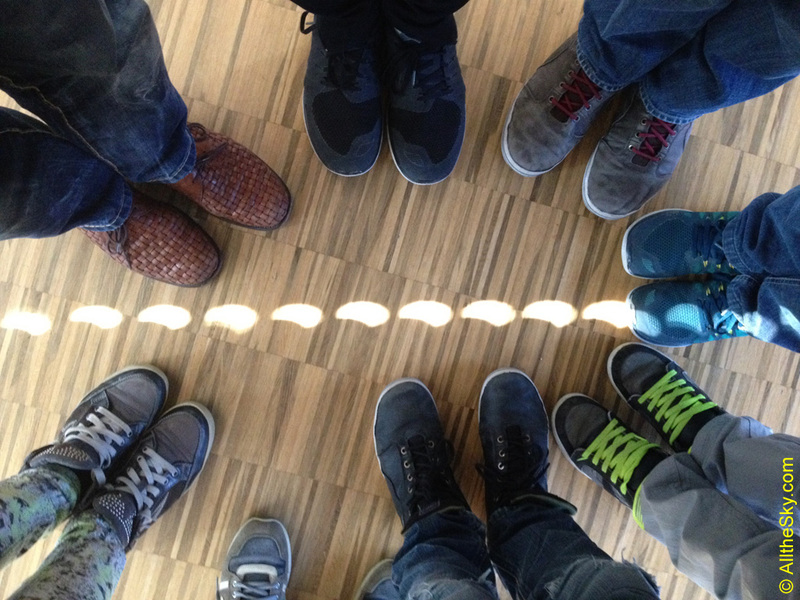 One technique is demonstrated in this shoe group portrait from a classroom in Rosenfeld, Germany, taken during March 2015's solar eclipse. With blinds closed to darken the room, each threaded hole in the window blind creates a pinhole camera, projecting multiple images of the eclipsed sun that march across the floor. Other viewing alternatives include eclipse glasses and a comfortable chair, but be sure to wear a fashionable eclipse shirt. NASA Television: Live Eclipse Coverage begins at 8pm ET.